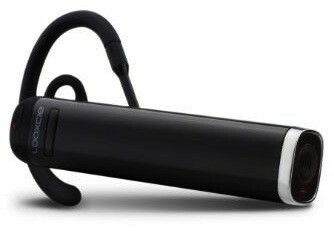 A bluetooth earpiece that doubles as a camcorder..that would be cool! 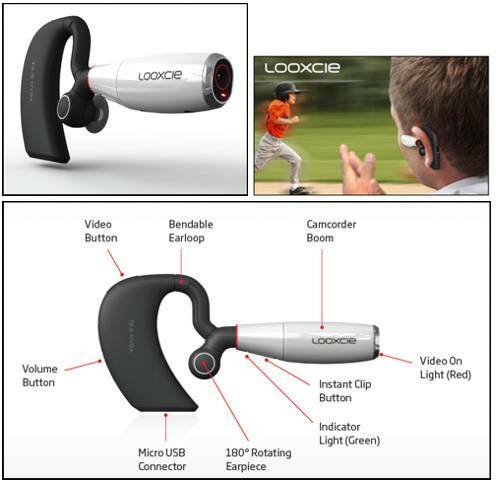 This is a quick shout-out for the Looxcie bluetooth camcorder. I’ve had this device for about 8 months. I have the first generation…which is a bit bulky, but still very cool! 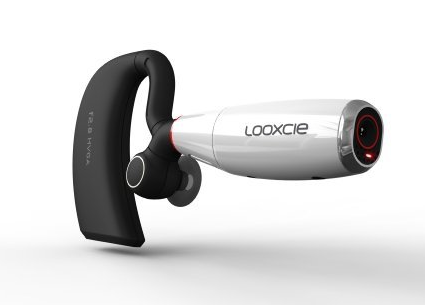 Looxcie is basically a Bluetooth audio device for your smartphone, I have an Android. If I want to make a call, or if my phone rings, I can speak using this little gadget in my ear. However, Looxcie also contains 4GB of a flash memory and can act as a camcorder. The tip of the device (the white part) is a camera lens. If you where to simply press the red button (on top of the ear piece) you would start recording whatever you are looking at. You can twist the camera very small turns to ensure you are getting a stable recording (make sure everything is not crooked). How do you see what you are recording? You use the Looxcie app that goes on your phone! Looxcie has two applications, well three now, more on that later. In general you have LooxcieCam and LooxcieMements. To be TOTALLY honest, I really don’t understand the difference between them. I have BOTH on my phone..but still don’t quite understand what the difference is except that the interfaces are different…they appear to DO the same thing (start recording, view previously recorded videos etc). Regardless, in a nutshell, you turn on your phone’s bluetooth, you turn on the camera and turn on your LooxieCam application. As you record you see your footage on your phone, pretty darn cool. Because this is video delivered via a bluetooth connection, it appears a bit jumpy, but rest assured the actual footage is not jumpy at all. On that note, when you review your footage via your phone, you are initially viewing it from the earpiece to the phone..so that footage is also jumpy because it’s Bluetooth that is still pulling from the earpiece to the phone display. You need to SAVE the footage to your phone before you get the actual footage as it really is. The video format is MP4 and the camera has two settings (set on the LooxcieCam application settings). You can set the resolution to either 480P (30 fps), this is youtube ready footage, or you can use 380P (15 fps) which is smaller and better for emailing. You can view Ariel Winter from Modern Family via Looxcie here. You can view lots of users samples here. One very cool feature from Looxcie is the 30 second clip button. Let’s say you just recorded something cool…with one click of a button on your ear piece, the last 30 seconds of footage is taken and uploaded it to your Facebook account…pretty bitchen! Now, as I mentioned, I have the first generation Looxcie, it cost me aprox $149.00 down from $200.00 after about 3 months sitting on the shelf. It clearly was a bit over priced and I don’t think people understood what it was. Looxcie 2 is now out (pictured left) and is a bit more sleak and attractive with an all black, more lightweight design. And finally, one of the coolest features just released from Looxcie (1 & 2) is their Looxcie Live! Now I do allot of live streaming (I developed and own Bspot.tv) so my natural assumption is that I’d be able to use this feature to stream to Bspot.tv..too cool!!! But, that is NOT yet the case. Looxcie Live only works with other people using the Looxcie Live app on their phone. I personally had to upgrade the firmware on my Looxcie 1 in order to use the feature at all. So currently you can not broadcast live to other peoples computers..only their phones IF they have the looxcie Live app on their phone. While this feature is basically useless to me personally..it’s a step in the right direction and I have to think home computer viewing is right around the corner!